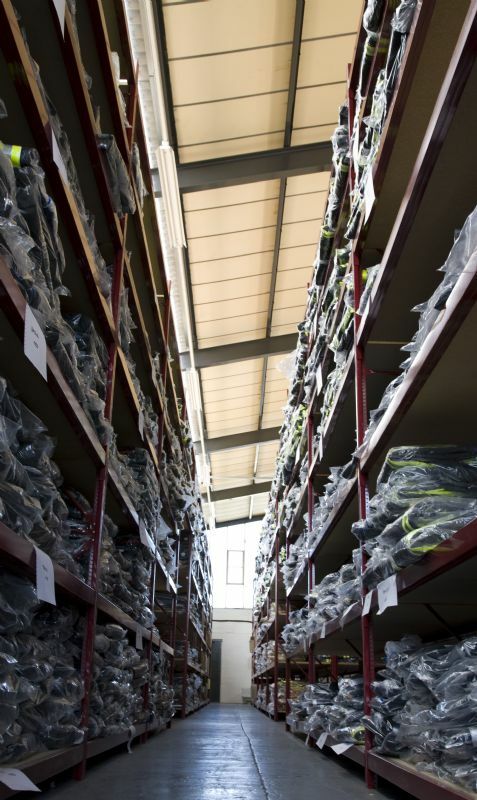 Being the original manufacturer of our garments we are able to offer a complete stock holding service from fabric and trim through to finished garments on the shelf, so that the product is ready and waiting for your call-off. Not only does this reduce your own inventory requirements in terms of space and cost but it also takes away the pressure and time associated with managing the supply chain and stock levels. We have a variety of different stock solutions available to you – contact us to find out more.